I am not a person who thinks everything needs to be painted. 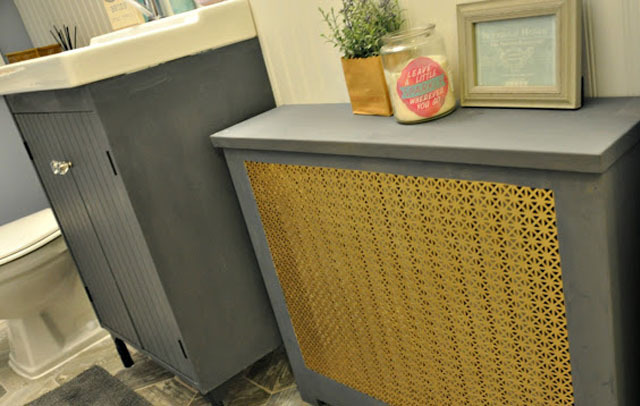 Sometimes, a piece looks better re-stained. However at other times, it really does need to be painted. 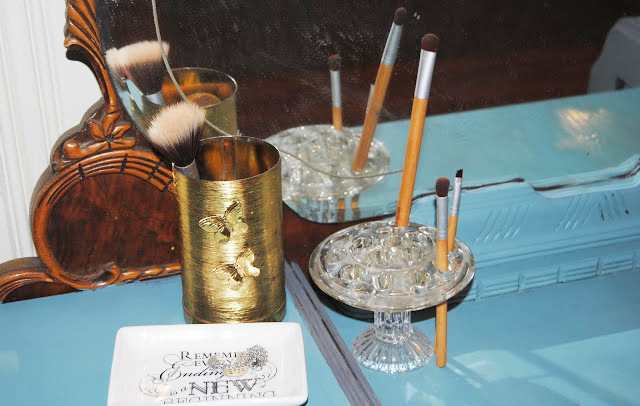 This vanity for my bedroom is an item I did not really want to paint, but I felt like I had to. There was some damage to it that could not be fixed. So when I heard about March's Fab Furniture Flipping contest, I got really excited. 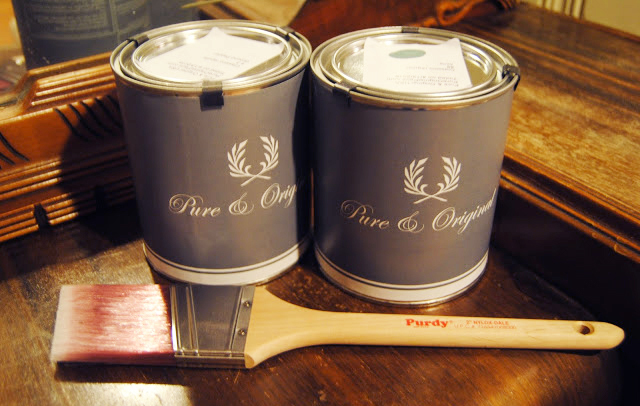 This month's sponsor is the Pure and Original paint company. I have been wanting to try their paint for a while because I have heard great things about it. This is one of the spots that was badly damaged. 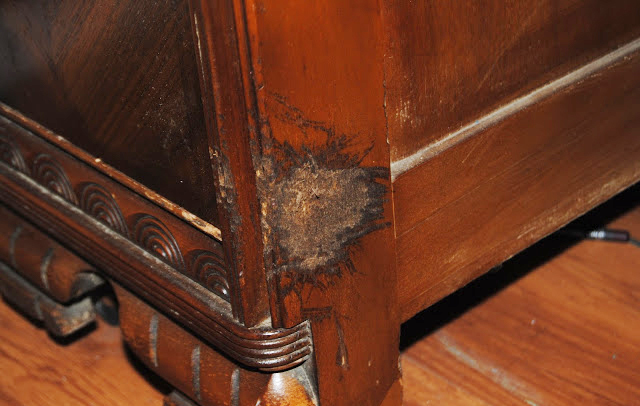 I sanded it down really well, but the wood was still damaged beyond repair. I got two really pretty colors, a dark gray called Ground Pepper, and a beautiful blue called Atria. They both matched the colors in painting that hangs over my bed. I was very excited to get started. However, in the span of a week I totaled my car and banged my knee up. Then my new car got broken into. Then, to top it off, I got Bronchitis. So needless to say, it took a lot longer to get it done then I had planned on. 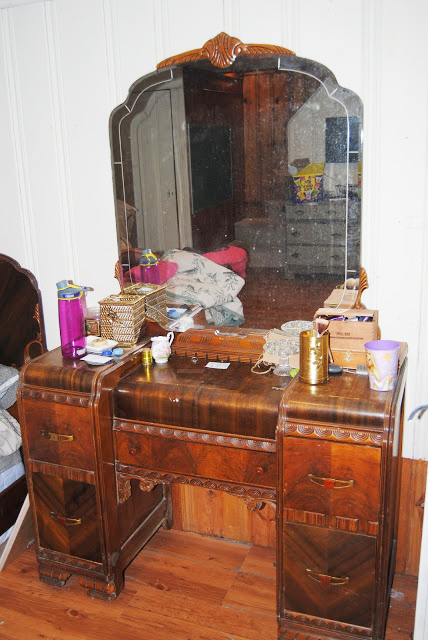 I left the very pretty wood as in on the drawers. I felt like it added an elegance to it. 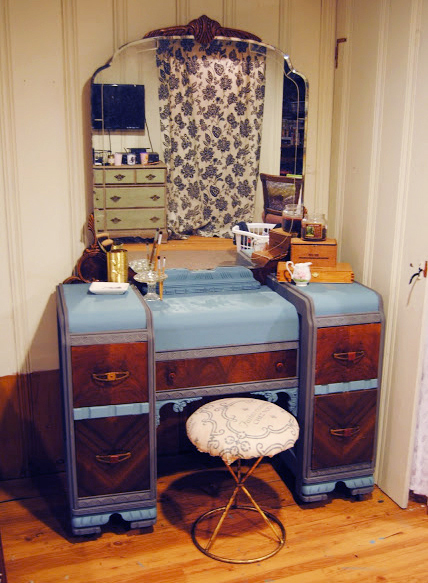 Furniture from the art deco era always has pretty wood grain, so I showcased that by not painting them. I left the original knobs too, because they are bakelight. I like how it turned out. It's simple, yet still very pretty and elegant. 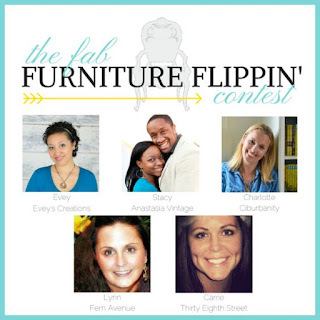 If you want more info on the contest, please send an email to: info@fabfurnitureflippincontest.com. 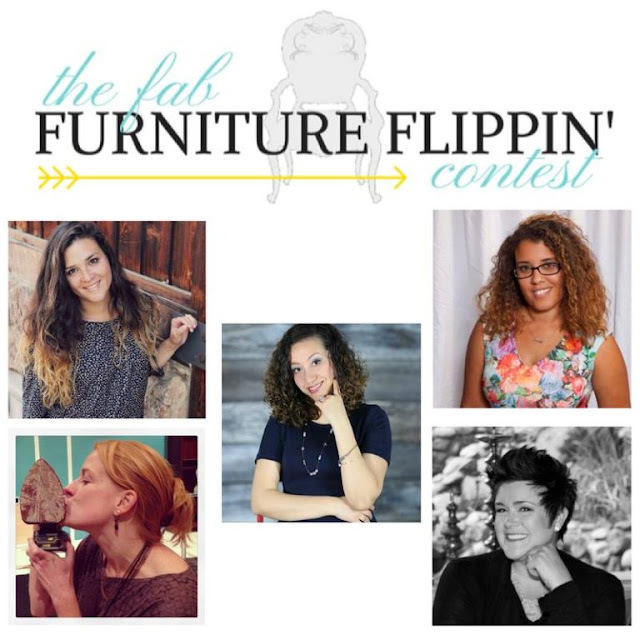 There have been a lot of fabulous entries, so make sure to check out both blogs I mentioned.